Antrim Glens and Causeway Coast is a combination of The Moyle Way and the Causeway Coastal Walk, two walks that display the wide array of natural riches that this corner of Northern Ireland has to offer. The trip highlights the diverse landscapes, abundant wildlife and geological wonder that will leave you with a lifetime of memories. Your trip begins in Cushendall, the capital of the Glens and takes you through mysterious, lush green forests and along one of the most dramatic coastlines in Europe, before ending at the golden sands of Portstewart. 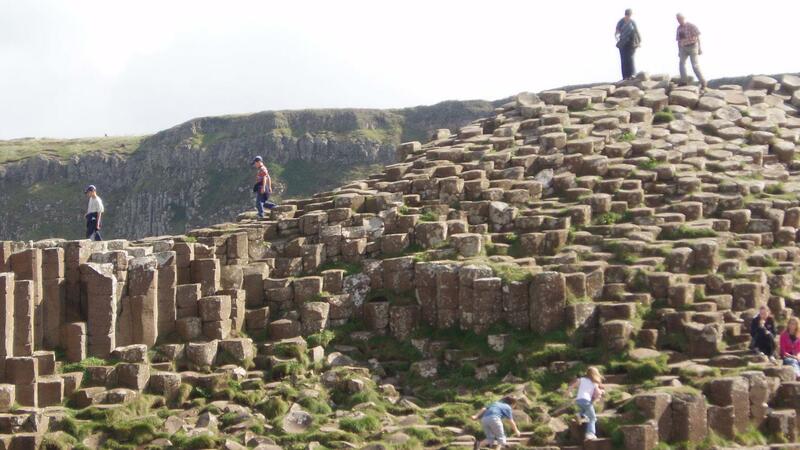 The most striking feature of this walk is undoubtedly the Magnificent Giants Causeway, the striking World Heritage site, but on either side of this you will find places to immerse yourself in the splendour of nature. The diversity of flora and fauna along the path makes for a truly wonderful week's walk in somewhere that is crying out to be explored on foot. Every holiday we offer features hand-picked overnight accommodation in high quality B&B’s, country inns, and guesthouses. Each is unique and offers the highest levels of welcome, atmosphere and outstanding local cuisine. We also include daily door to door baggage transfers, comprehensive route notes, a detailed map and pre-departure information pack as well as emergency support, should you need it. 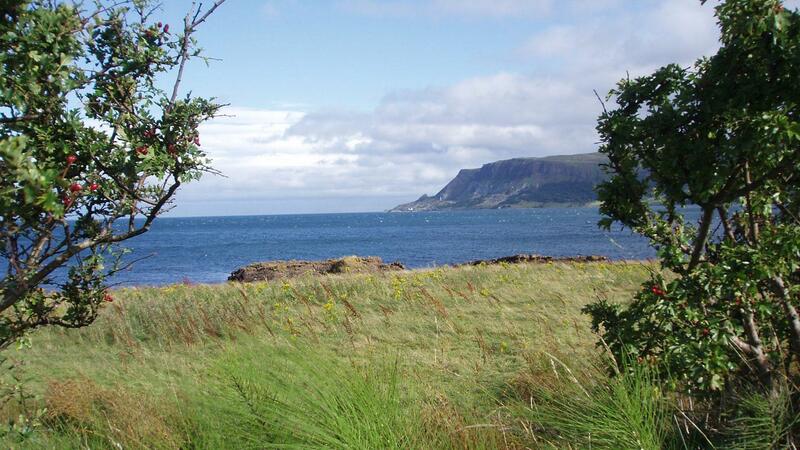 Your walking tour of the Glens of Antrim begins in the village of Cushendall, better known as the capital of the Glens. Cushendall is a charming village that nestles in the heart of the Glens, situated between the hills and the sea of Moyle and it is here that you will spend your first two nights. Anne at The Meadows prides herself on the warmth of hospitality that you will receive when you arrive at her B&B. The distance that you will travel will depend on which trail that you take in the park; of which we will give you several options. 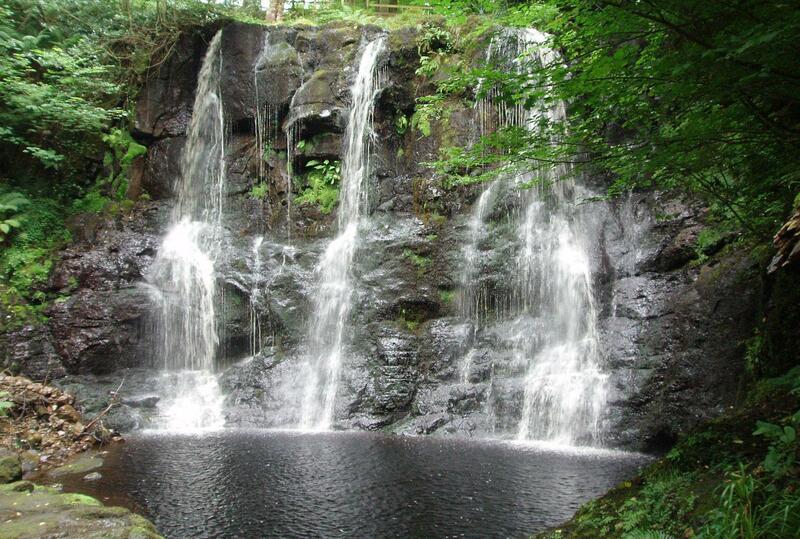 After breakfast a bus will take you to the entrance of Glenariff Forest Park to begin your walking tour in the park. 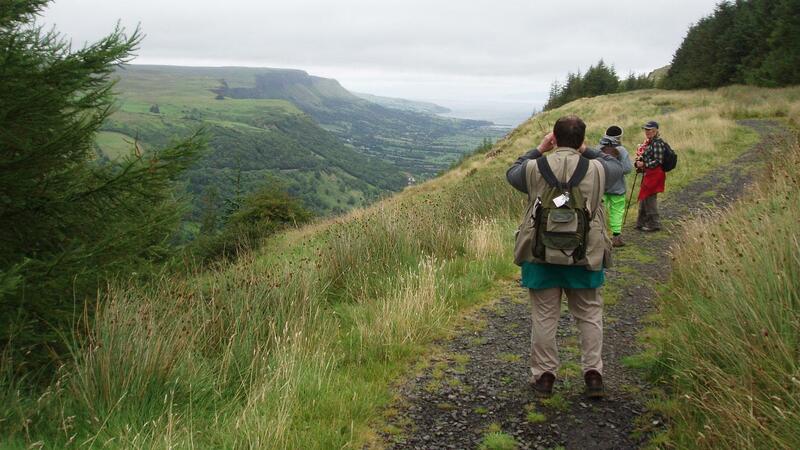 The vast variety of the landscape, woodlands and habitats that are to be found within Glenariff Forest Park provide you with a superb walk through the natural beauty which is to be found here. You will be transferred to the beginning of your walk at Orra Beg. This section of the trail is mixed between forest trails; quiet country roads and open mountains. You will be rewarded with some fantastic views of the Glenshesk River, Coolaveely Forest and Knocklayd Mountain. The final section of the day takes you through Ballycastle Forest and finally into the town of Ballycastle where you will spend the next two nights. Walk: 12.5 miles, ascent/descent: 390m, 5 hrs approx. Hillsea is a large Victorian Villa overlooking the Sea of Moyle. With their large appetizing breakfasts, home baking and warm welcome, Hillsea will be a home from home. You will be given the choice of two walks on the island so distance will depend on which route you take. The island is a rare place of wild and natural beauty, extraordinary environmental values and social interests. The island is immersed in flora and fauna and in spring and summer Puffins; Guillemots and Kittiwakes, to mention but a few, nest in their thousands along its steep on-shore cliffs - a must for naturalists. 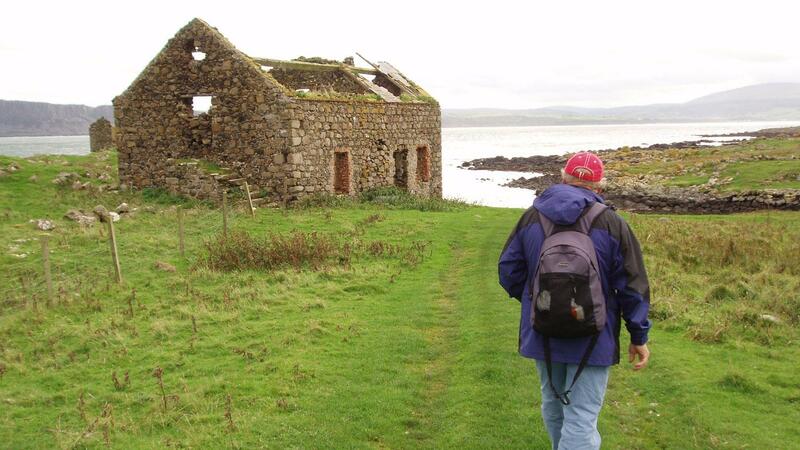 Walk: Own choice - the island is 6 miles long and almost 1 mile wide. 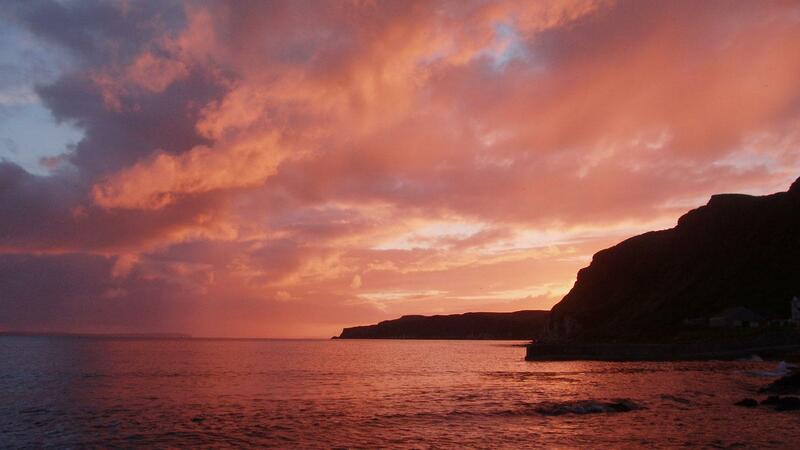 Ballycastle is the northern gateway to the Glens of Antrim. 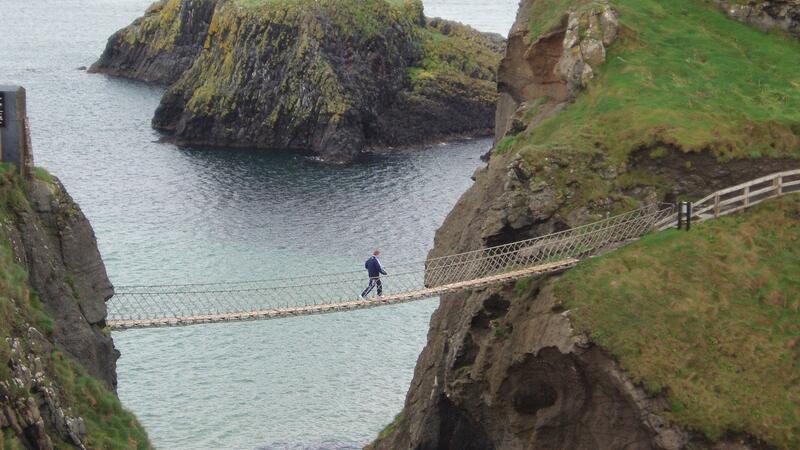 After leaving the town of Ballycastle you will follow a country roads to Clare Woods which eventually take you through the farming communities of Craignagolman and Ballaghcravey, down to the world famous Carrick-a-Rede Rope Bridge. This is an amazing place and if you are brave enough to cross the bridge that spans an 80ft chasm the experience will be invigorating. Walk: 9 miles, ascent/descent: 110m, 4 hrs approx. Today offers you an awe inspiring array or scenery; flora and faunas, a combination of which you will find hard to beat in a days walk anywhere. The trail from Ballintoy passes along the golden sandy beach of White Park Bay, past the ruins of Dunseverick Castles and along a cliff top path that takes you around by Benbane Head to the World Heritage Site and Nature Reserve of the Giants Causeway. Walk: 11 miles, ascent/descent: 100m, 5 hrs approx. Just outside Portbalintra, Carnside sits on a hill overlooking the Giants Causeway, Portrush and Donegal. 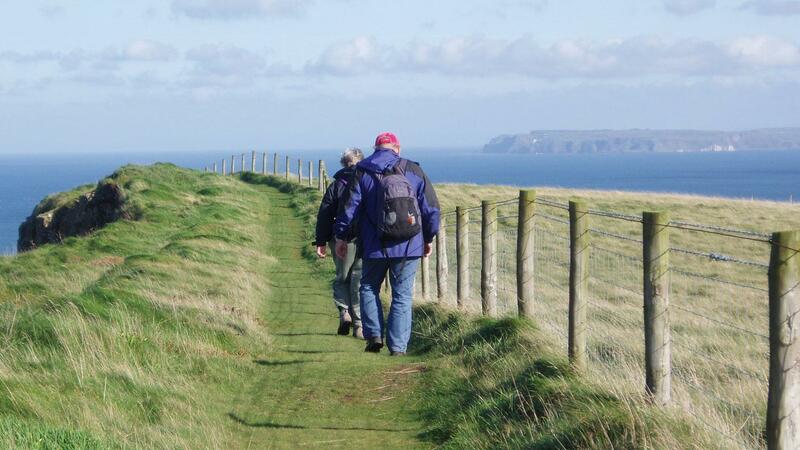 Your final day's walking tour of Antrim takes you along the coastal road to Portrush overlooking Binbane Cove, Dunluce Castle, The Burnfoot and The White Rocks before making the short descent down to Curran Strand. This is a beautiful section of the trail and a perfect finish to what hopefully will have being a perfect week. Walk: 14.5 miles, ascent/descent: 371m, 5h30 approx. A modern and helpful B&B, Cul-Erg puts their emphasis on personal service and aim to ensure that your stay here is a memorable one. 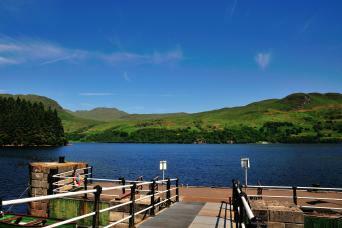 Make your own way home, having enjoyed a wonderful walk through iconic scenery. This independent walking holiday is available to solo walkers but as all our holidays are priced per person based on two sharing there is a single supplement payable to cover the additional costs we incur. Ann will provide you with a warm welcome to this lovely, modern accommodation situated on the main A2 Coast Road. Fragrens is an historic house built 1734-1750 and forms part of the oldest property in Ballycastle. The building has been completely restored, with a high standard of spacious rooms. Ballintoy House is a beautiful family run listed Georgian building with Ballintoy Harbour and Whitepark Bay a short walk away. Carnside Guest House is situated on a hill, with a panoramic view, overlooking the Giant's Causeway, Portrush and Donegal. Cul-Erg House is a modern family run accommodation, furnished to a high standard. All bedrooms are ensuite, some with sea views and each individually furnished with hairdryer, hospitality tray and TV. This trip can run from March until October. This walking holiday is best enjoyed between April and October. You can start on any date that suits your travel plans and you will find up to date availability on our website. 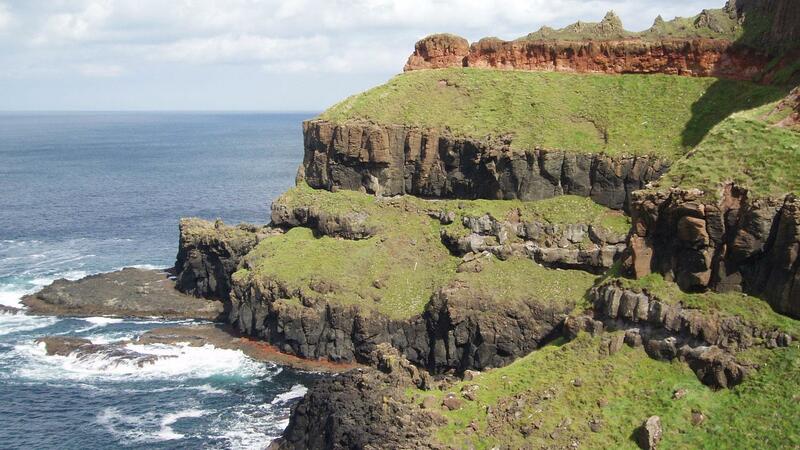 Antrim Glens and Causeway Coast is very popular so it is best to book as far in advance as you are able to. This walk is graded as easy to moderate and includes daily walks of between 9 - 12 miles. Suitable for occasional walkers however you should have a good level of walking fitness to get the most from this tour. The route is clearly marked with arrows and finger posts, apart from the section between Orra Beg and Ballycastle. Upon booking you will provided with a detailed information pack, please refer to your map and route notes for this section in particular. every 60 minutes between 0535 and 2320. At Belfast Europa Buscentre take the Goldline Express bus service 218 to Ballymena Buscentre. The bus leaves every half hour and the journey time is approximately 1 hour. At Ballymena buscentre take the Ulster bus service 150 to Cushendall. The journey time to Glenariff is approximately 30 minutes and to Cushendall approximately 45 minutes. When you come to Glenariff ask your bus driver to stop at Sanda B&B OR When you come into Cushendall ask your bus driver to stop at the first bus stop, it is just past your accommodation, which is the first accommodation on the left as you approach the village. Take the Goldline Express bus number 200 or Bus Eierann number 1 at Dublin Airport to the Belfast Europa Buscentre. From there, follow the instructions as above. 7 Nights bed and breakfast accommodation in ensuite rooms wherever possible. A detailed info pack, route notes and map. Transfers as detailed in the itinerary. Emergency telephone support from our office and local colleagues. 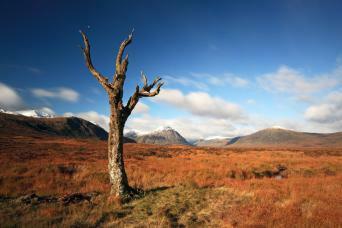 Planning a long distance walking trip can be daunting, especially if this is your first long distance walking holiday. We are often asked the following questions and I hope that you will find the answers useful. This tour is graded easy to moderate so is suitable for occasional walkers or those that enjoy an active lifestyle. The daily walks are between 9 and 12 miles so you will be walking for between 4 and 6 hours per day. Your baggage will be transferred from your accommodation as per your itinerary and moved onto your next overnight accommodation. We ask you to limit your luggage to one bag of up to 15kg per person. We suggest you book as soon as your plans are finalised as the Causeway Coast is extremely popular especially over July/August. You will find up to date availability on our website and we will always try and accommodate your plans. Traditionally April/May has always been the most popular time of year because the theory goes that the weather is better. Although I believe any time between late March and October offers a wonderful experience. Please bear in mind that weather at the very start/end of the season is more likely to be changeable, so pack accordingly and ensure you check the weather forecasts daily. 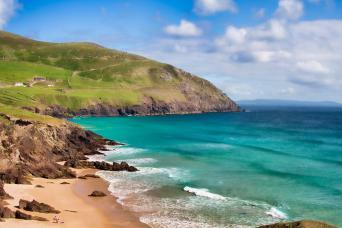 Beautiful scenery, weather was typical Ireland (most days with some rain and very windy on coast) so have good rain gear. There was a bit more ability to control your time on this trip than some of the others we have done (first day could take the bus up to the start - Raithlin Island could use the shuttle). Not as much road walking as some trips so that was great - 2 nights in 2 places was also nice. My sister and I took this trip in early September (2016). We flew from the US to Dublin. Not being familiar with the bus transportation, I found emailing Translink exceptionally helpful and received emails back with all my questions answered. The route notes and maps were at our first B&B as promised. My sister is the navigator (and she's good at it) and, I have to say, she was a bit overwhelmed as she perused them the day we arrived before setting off the next morning. We found a few of the days difficult to discern if we were on the right path as the directions weren't quite clear enough-was this the left up a slight hill or was it further on-was this the gate we needed to go over or was it one a little further on or had we already passed it? The miles add up and we didn't want to have to back track. We were out entirely by ourselves hardly ever seeing anyone along the way to have a chance to ask. We did a lot, a lot of walking during the summer and were well prepared for the 6 full days which included forest paths, beaches, some with boulder fields with slippery kelp, a challenging section of peat bogs we had to traverse right after a heavy rain, through pastures, over gates, fences and stiles, up close and personal with sheep and cows, up steep country roads, around breathtaking cliffs with beautiful sea vistas, picnics in lovely settings. We had interesting and terrific conversations with people in the towns we walked to, hearty Irish breakfasts that gave us a good start on the day, very nice B&Bs that we enjoyed staying in. It felt like a challenge and a real adventure. We had our GPS going the whole time and found the mileage different from what was advertised. We had two 11 mile days, a 14+, 15, 16+, and our last day we clocked in at just over 17 as we detoured into a town for lunch. We are 66 and 68 and we had a real sense of accomplishment by the end! We can absolutely recommend this trip! This year we took someone who had not been on a holiday like this and they were amazed at how much they did that they had never done before.The scenery was fantastic, the food at the B&Bs and the pubs we ate at was excellent and very large portions. This walk is a fascinating trip through some of the most beautiful and well known scenery of Northern Ireland. The blend of the deep, atmospheric glens and the bracing, well photographed coast, make this trip one that will stick in your memory for a long time to come.